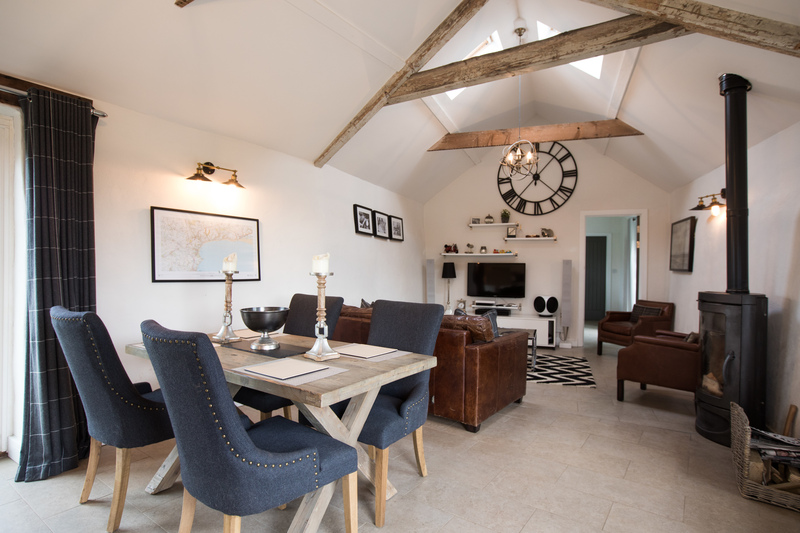 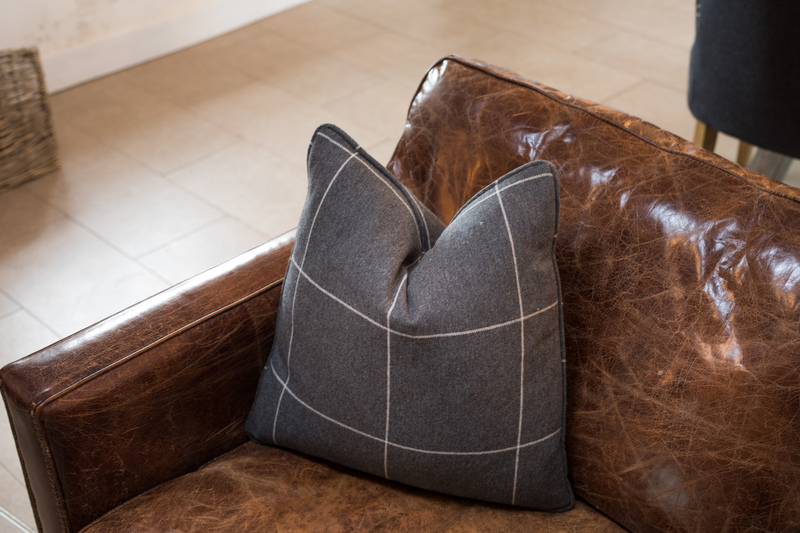 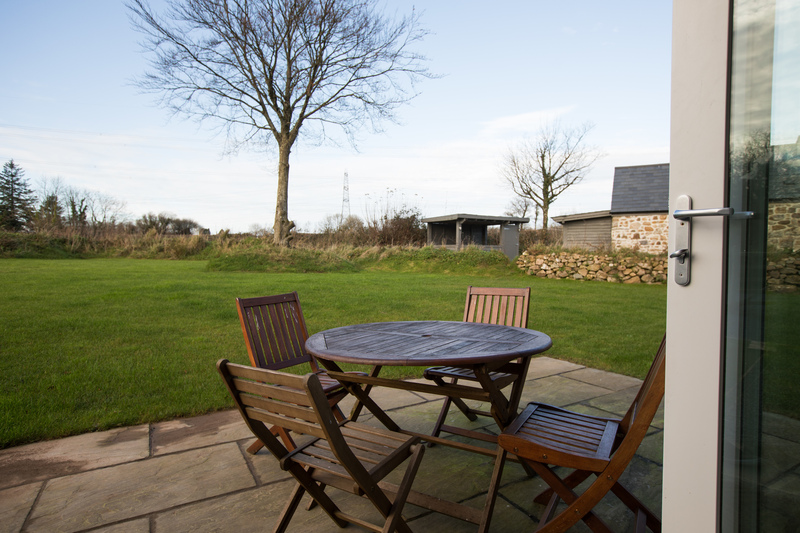 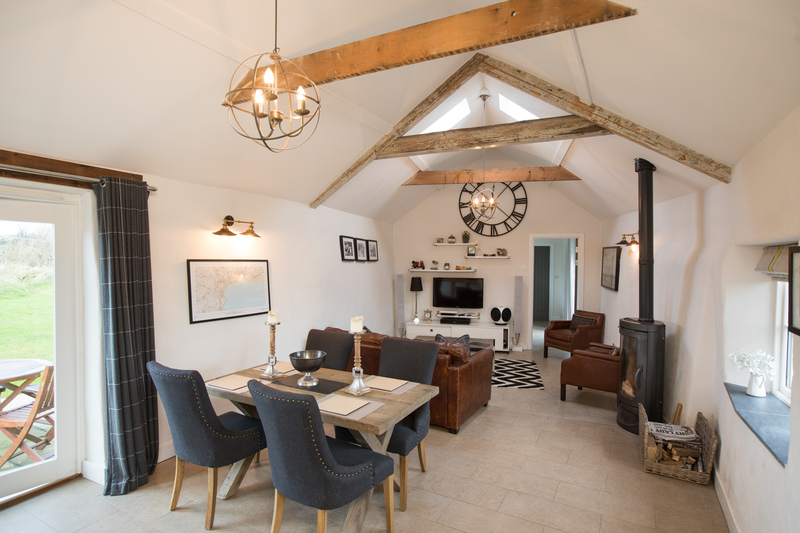 Situated in the heart of the rolling Pembrokeshire countryside, the picturesque village of Ludchurch provides a tranquil setting for a relaxing getaway and is home to one of our luxuriously renovated barn conversion, The Blacksmiths. 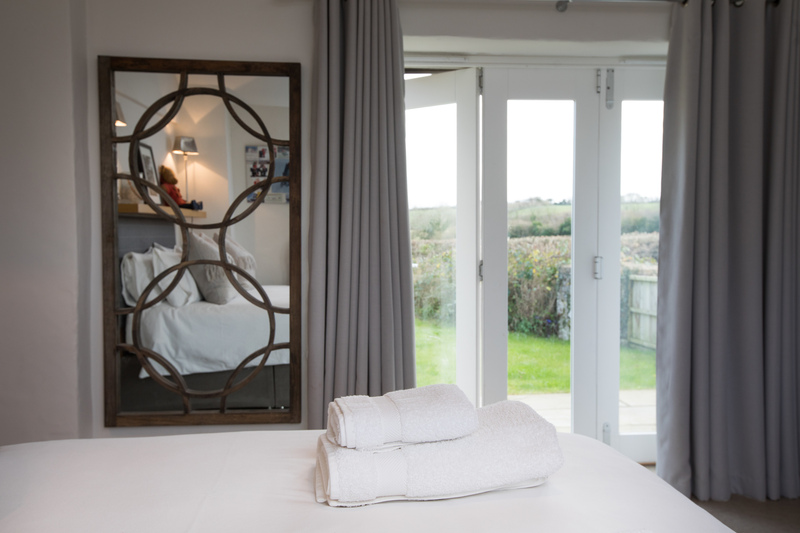 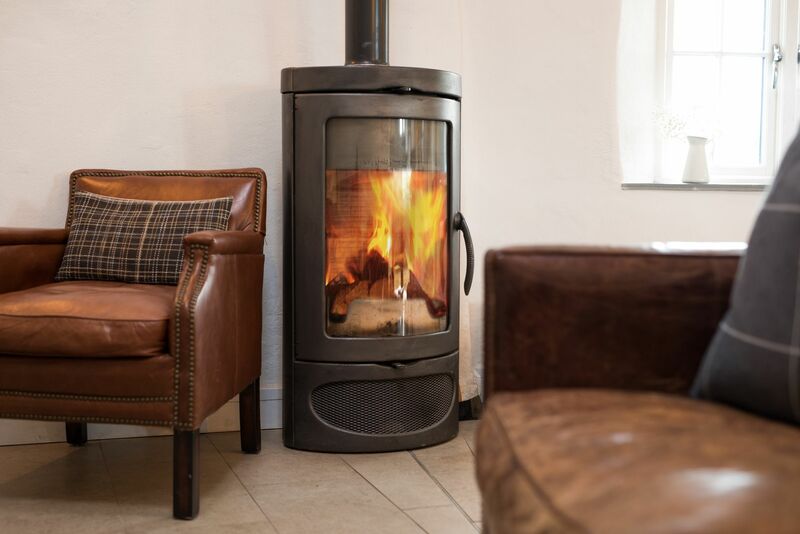 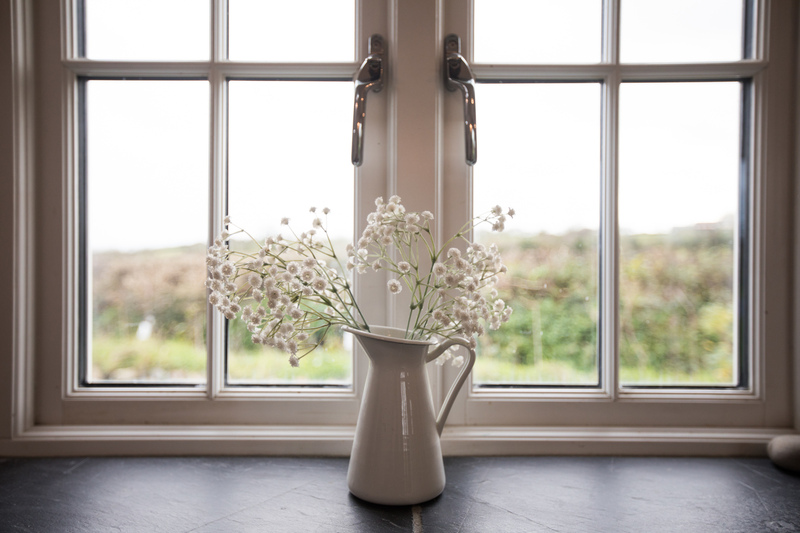 Sleeping up to 4 people in the upmost quality and comfort, The Blacksmiths is uniquely located in close proximity to many of Pembrokeshire's award winning beaches and attractions whilst also enjoying a peaceful location away from the hustle and bustle of the larger towns and villages. 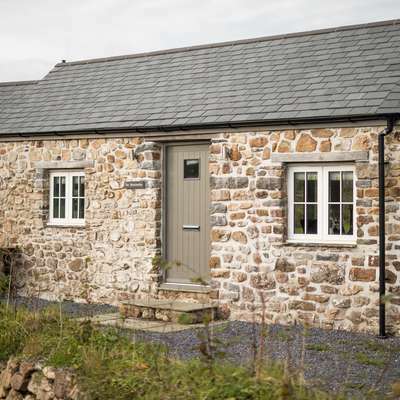 The cosy hamlet of Wiseman's Bridge is just a 5 min drive away (or reached on foot via a 40 minute scenic walk), with the larger villages of Amroth and Saundersfoot both within a 10 minute drive. 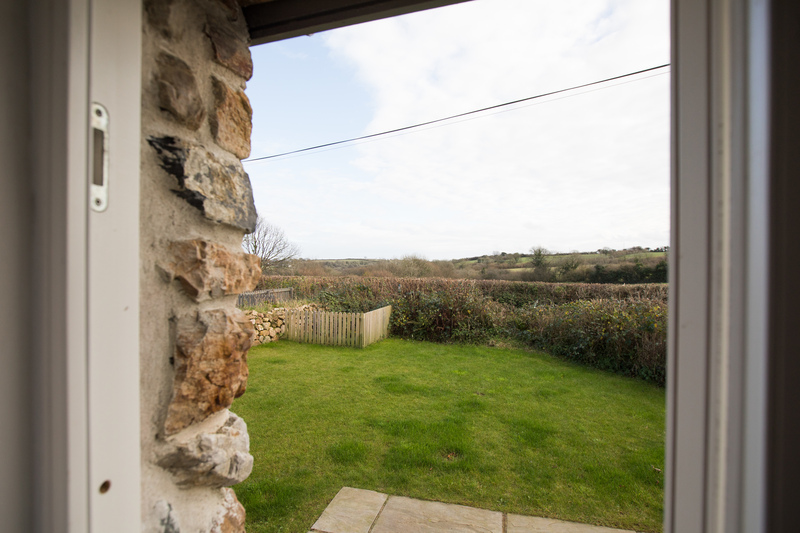 After a busy day exploring the best beaches and attractions Pembrokeshire has to offer you can look forward to relaxing in your peaceful holiday cottage hidden away in tranquil surroundings with views over the breath-taking surrounding countryside. 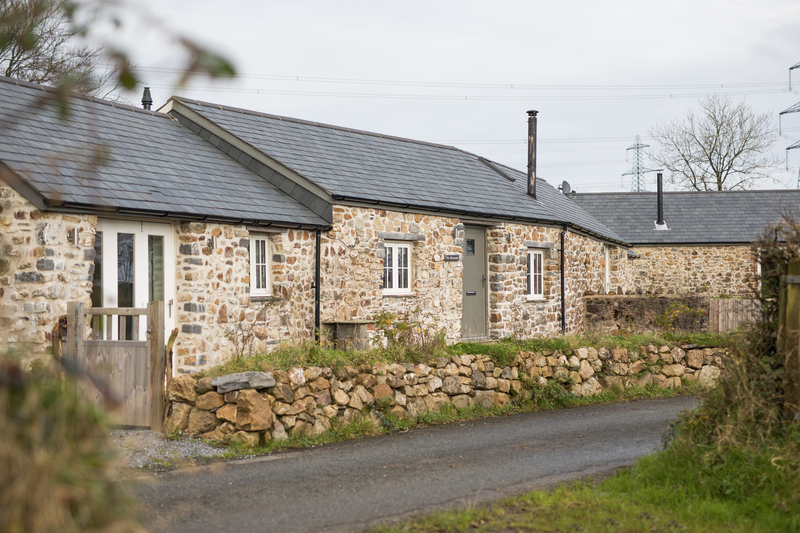 The self-catering cottage is accessed via a country lane off which the road pulls into the large driveway with ample parking for several cars. 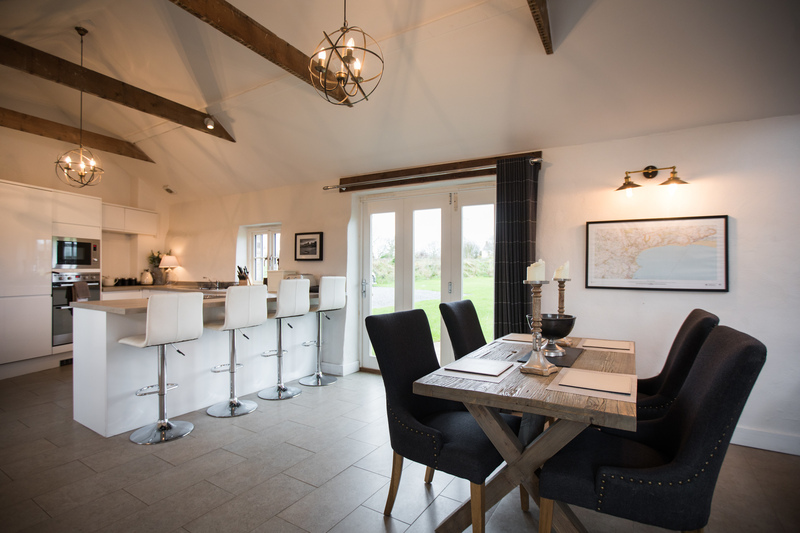 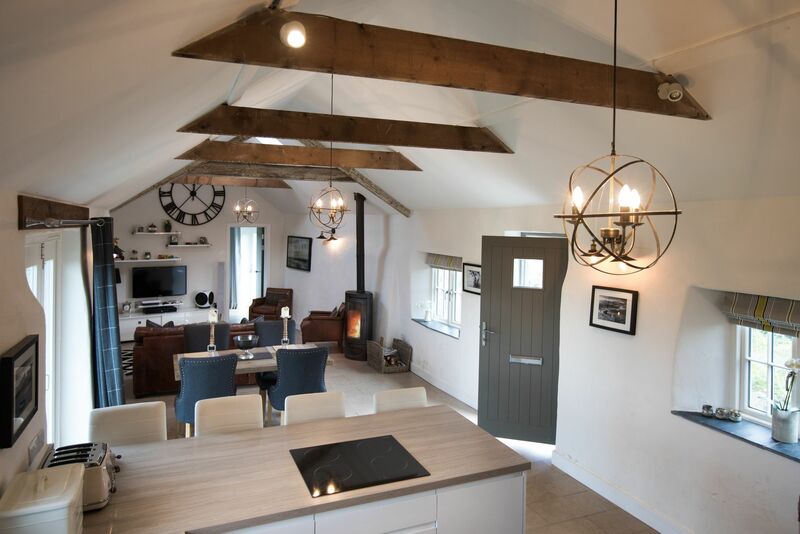 Entering into the open plan lounge/kitchen/dining area, the stylish kitchen and high quality decor give you an immediate sense of quality and luxury combined with the rustic charm of exposed wooden beams, cosy log burner and beautiful countryside views. 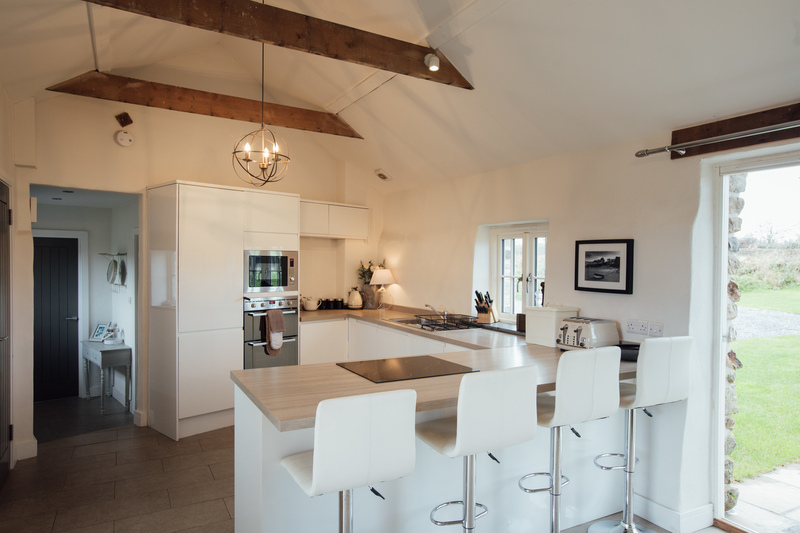 The fully fitted kitchen is well-equipped with everything you will need for your stay including dishwasher, microwave, fridge, freezer, washing machine and integrated oven, grill and hob. 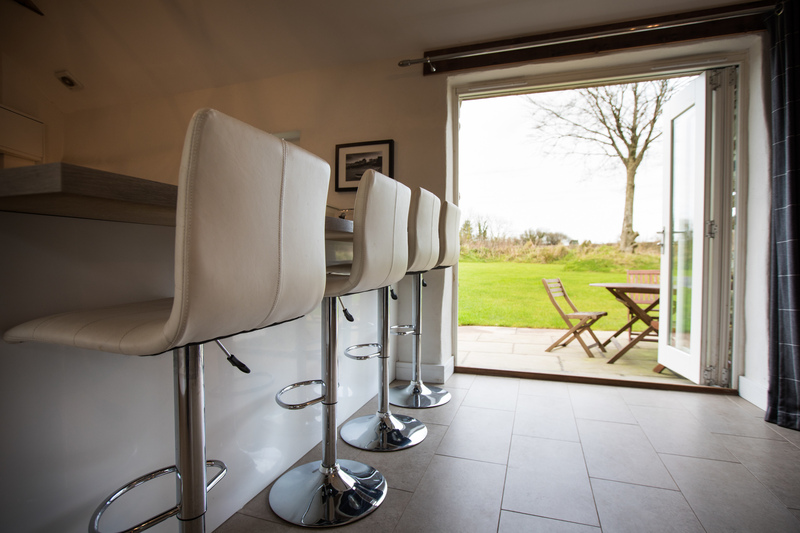 The dining area seats up to 4 people and bi-folding doors make the most of the countryside views and give access to the peaceful enclosed garden. 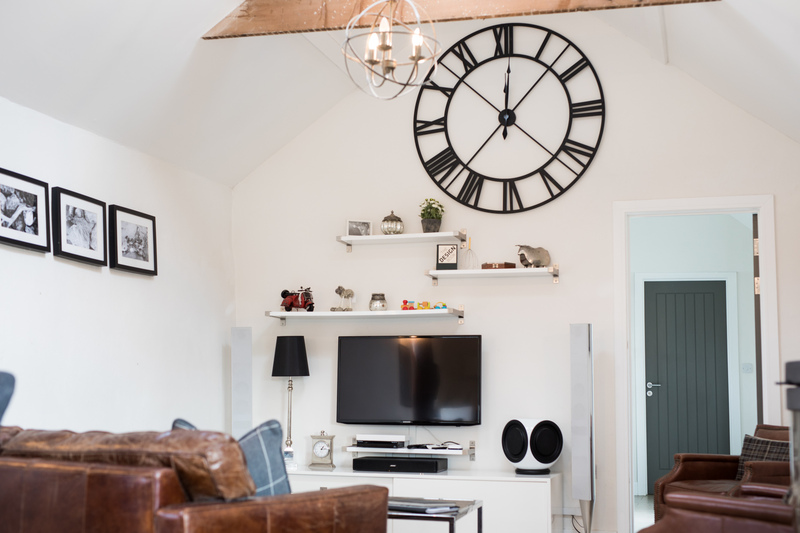 The living area provides comfortable sofa seating for up to four people with wall mounted flat screen TV with FreeView channels and DVD player. 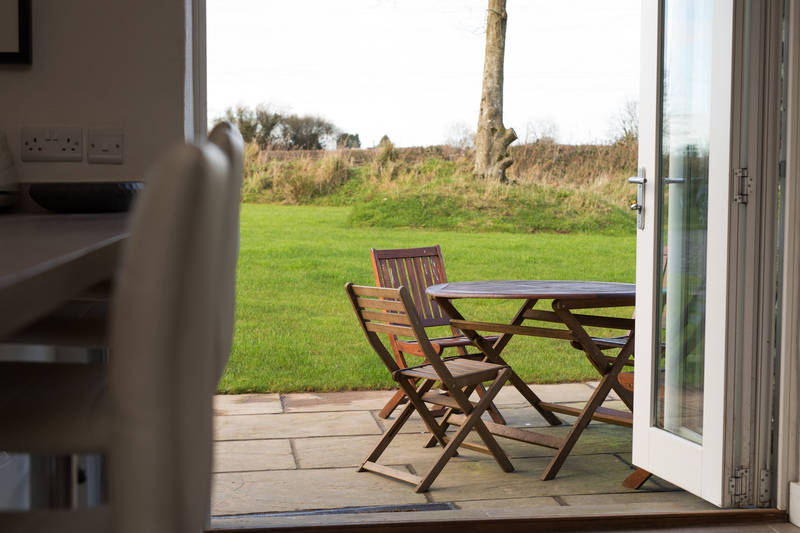 Bi-folding doors lead out onto the peaceful enclosed garden where you can relax and enjoy the beautiful countryside scenes. 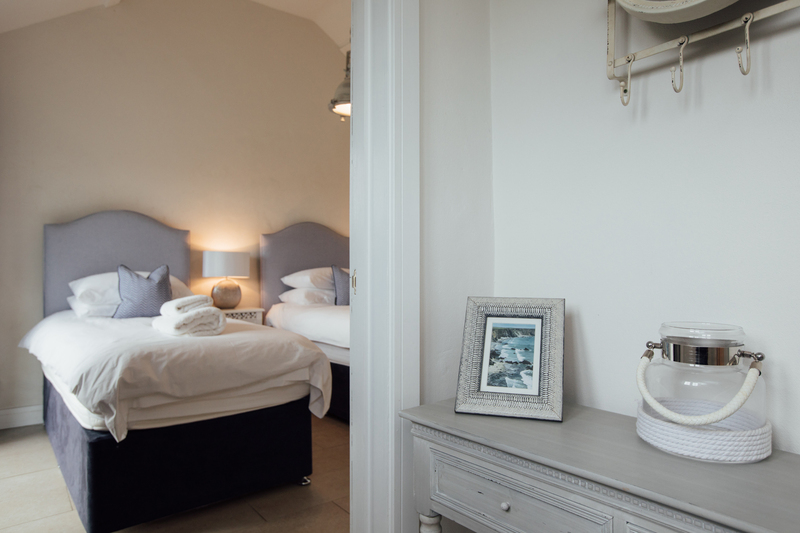 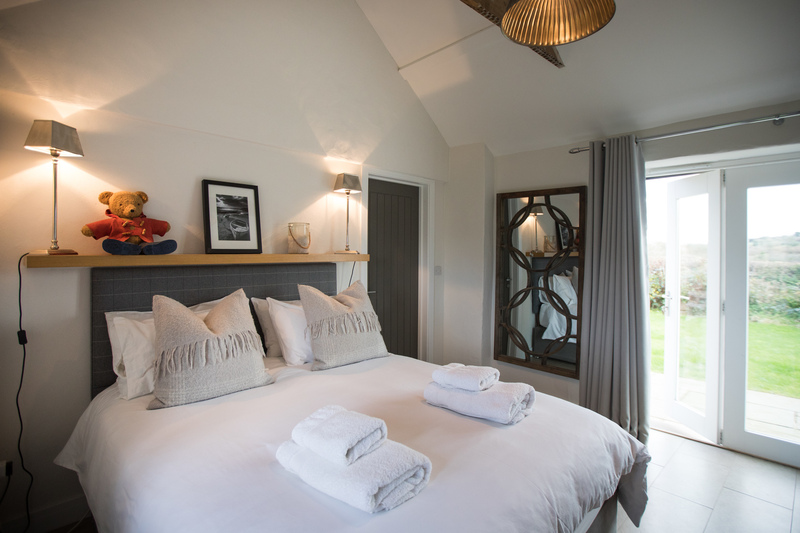 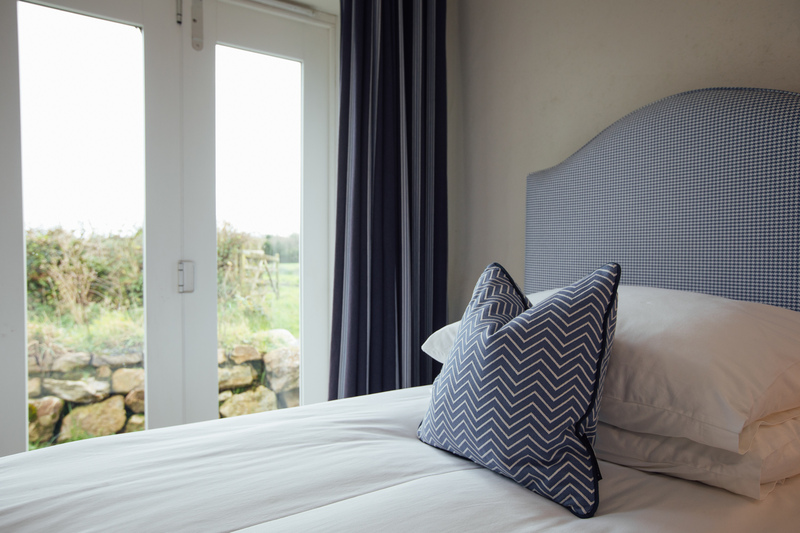 The bedrooms are located at either end of the cottage with both bedrooms benefiting from its own bathroom and bi-folding doors which open out onto the enclosed garden from where you can enjoy the scenic countryside views. 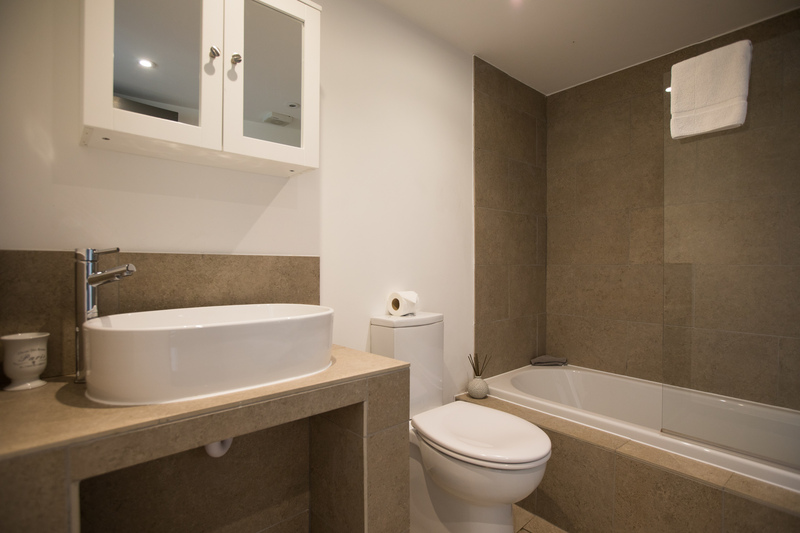 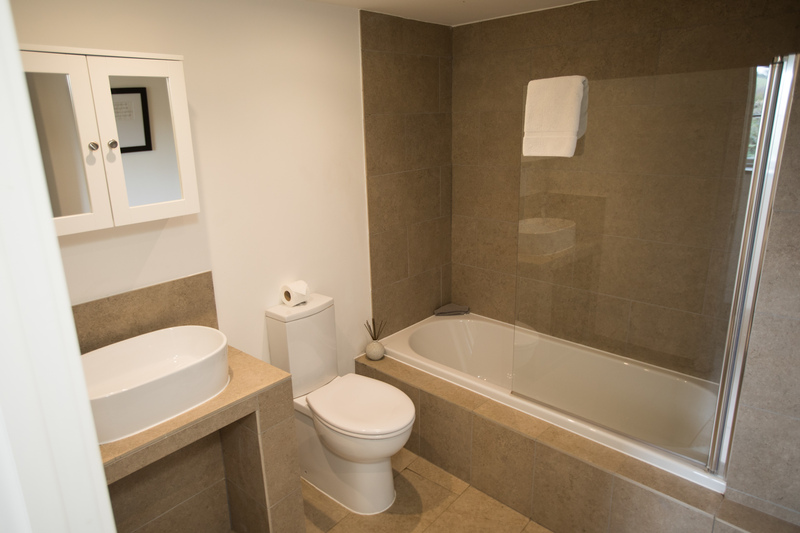 The en-suite bathroom comprises a large shower unit, separate bath, wc and whb. 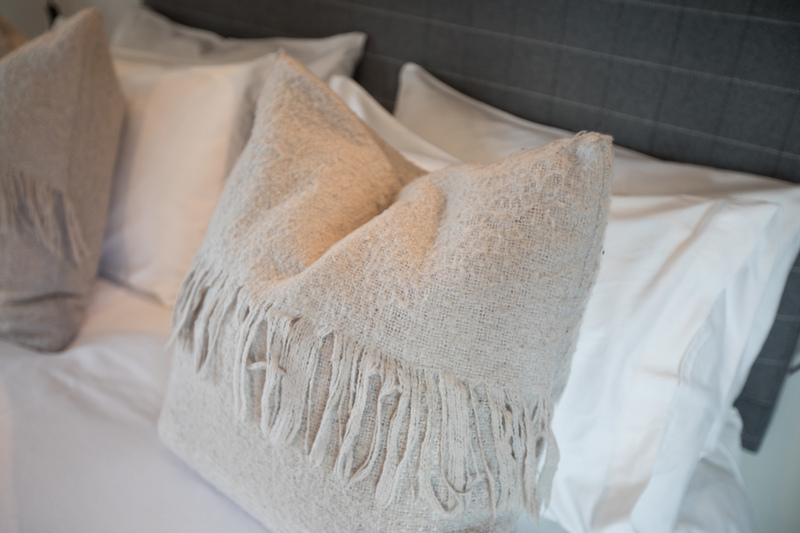 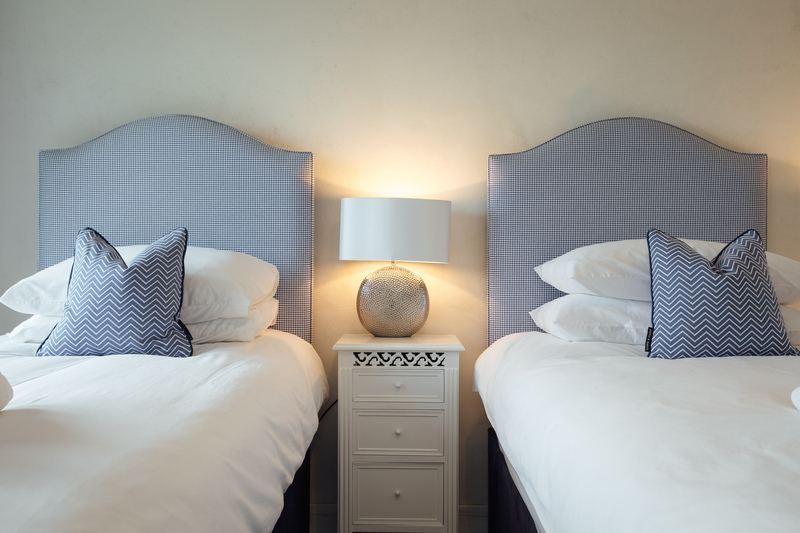 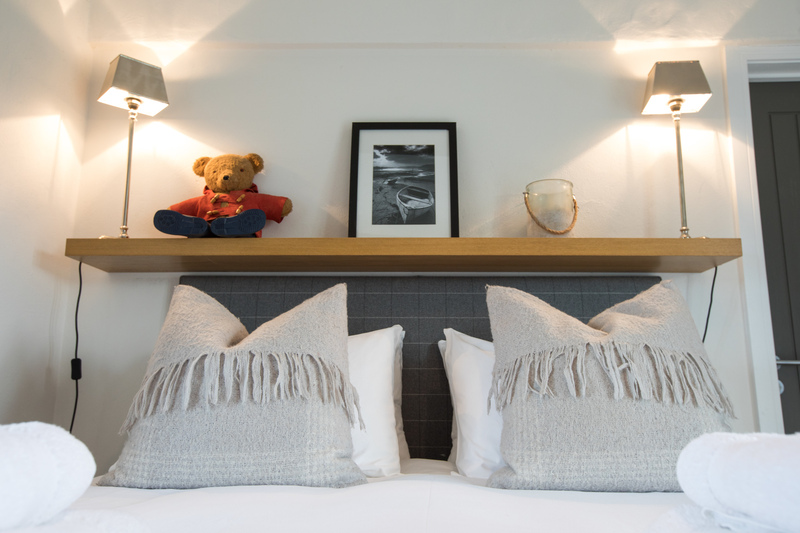 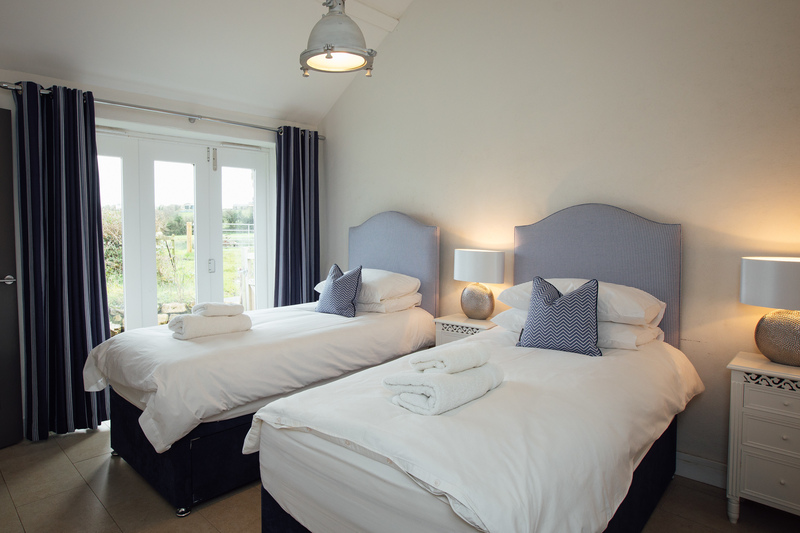 Bedroom 2 offers versatile sleeping accommodation through zip-and-link beds which can be made up as twins or as a double (twin beds are made up as standard - please contact us on booking if you require a double). 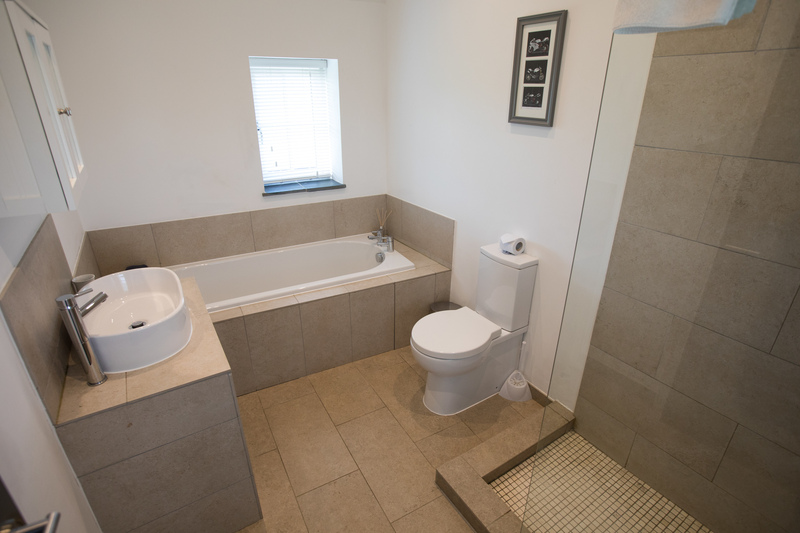 The bathroom is located next door and comprises bath with shower over, wc and whb. 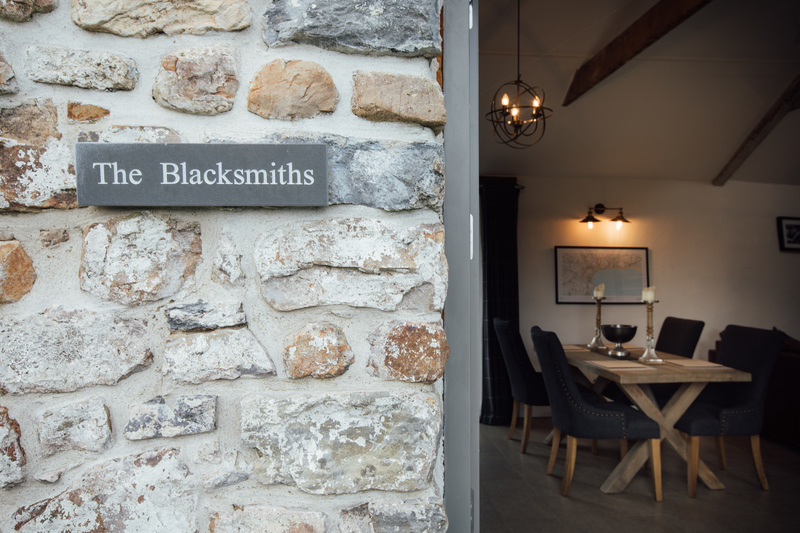 The Blacksmiths further benefits from WiFi and underfloor heating throughout.